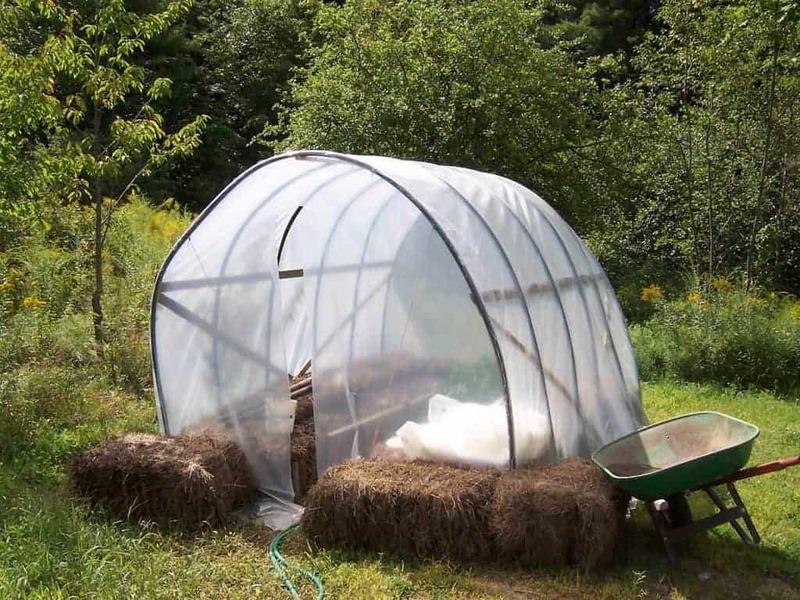 You are here: Home / Uncategorized / How To Use Hay Bale Gardening To Increase Your Harvest! If you’ve been curious about hay bale gardening, you’ll want to stick around for the rest of this article. What is Hale Bale Gardening? 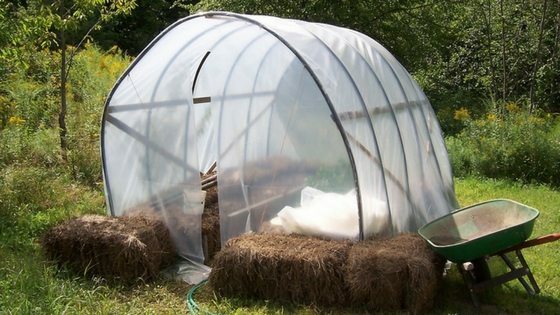 What’s the Difference Between Hay Bale Gardening and Straw Bale Gardening? So, What Exactly Makes Hay More Desirable Than Straw For Gardening? We’ve tried hay bale gardening on the homestead, and we’ve found that not only has it given us great yields, it’s made harvesting our veggies much easier. The best part of hay bale gardening is how EASY it is – so if you have a brown thumb or are just looking for a really simple, low maintenance way to start a garden, then hay bale gardening might be for you! It cuts down on the amount of weeds, and as the hay deteriorates, it leaves rich compost behind. Hay bale gardening is essentially planting seeds into bales of hay instead of directly into the soil. Think of it like raised beds, but instead of using wood and soil, you’re creating a naturally raised bed. And similarly, it prevents pests from damaging your crop. Not only is this method fun, it is painlessly easy because it requires very little upkeep. It also means easier harvesting because you don’t have to bend over very far to grab your tomatoes or peppers! The main difference between straw and hay is that straw is derived from dried wheat stalks while hay is made up of dried grasses (such as bermuda, timothy, fescue, etc). There’s a lot of scuttlebutt in the gardening world about whether hay bales or straw bales are better for this type of gardening. Some people believe that because hay can contain seeds from the grasses or other weeds, it poses a higher risk of troublesome or dangerous weeds since some seeds might still be kicking around in the hay. However, studies have shown that during the conditioning process, nitrogen is introduced to the bale to aid in decomposition, and at that time most of the existing seeds are destroyed. For one thing, a hay bale garden requires less work and overall maintenance than a straw bale garden. First, you don’t need to add fertilizer, unlike straw bales. Hay simply has more nutrients in it, so as it decomposes, more nutrients are released. Less water is needed as well, because grasses retain moisture more effectively than straw. On our farm, we found that gardening with hay bales reduced our watering to about once a day instead of 2-3 times per day during the hottest days of summer! Finally, there is the likelihood that your straw could have come from genetically modified crops, such as corn or soy. Think about whether or not you want your produce stemming from decomposed genetically modified plant substances! Once you have decided to give hay bale gardening a go, your first step is obviously going to be to acquire hay bales if you do not yet have any. It’s best to go with regular-sized 40 pound bales. Since freshness isn’t really as much of an issue with hay for gardening as it is for animals, you can either buy your hay OR ask around to see if anyone is willing to give you old hay for free. Lots of times farmers are looking to clear space and might just give you rotting bales or will sell them to you at a discount. Assemble the hay bales in your yard according to how you want your garden laid out. Once you have assembled the hay bales, you will want to begin the process of ensuring there aren’t any stray seeds in your hay. To effectively get rid of any stray seeds, you’ll want to introduce an organic fertilizer that’s high in nitrogen into your bales. When I researched high-nitrogen fertilizers, there’s a lot of options, but none I was comfortable recommending. So, I turned to my friend Marie, who writes at Just Plain Living. If you do wrap your bales in plastic, after 10 days, remove the hay from the plastic wrapping. This process helps kickstart the process to create rich compost to nourish your plants as they grow. Because you’re starting the composting process quickly, it’s possible that the temperature inside the hay bales can reach up to 140° Fahrenheit. This can introduce a slight fire hazard, so when planning your garden layout, keep this in mind! If things get too heated, wet your bales every day – if you want to be super safe, you can do it proactively. If you use the plastic or tarp, it’s ok to remove it to wet the bales. You will know the process is complete when the temperature of the hay bales has returned to normal. Once your hay bales are conditioned, you’re ready to plant seeds in them! This is probably the easiest part of the whole process – Just take your seeds and plant them into the hay bales. From that point, all you need to do to help them grow is to continue to keep the hay bales watered once every day. 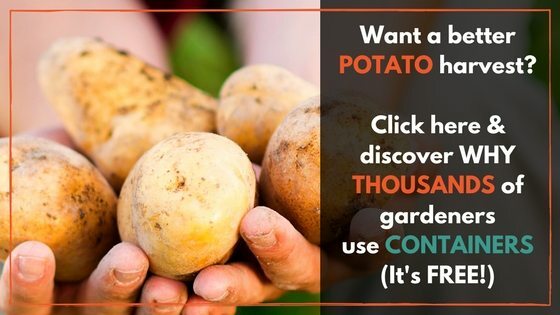 You should have a wonderful yield of tasty produce to collect at the end of the growing season, and as an added bonus, you can recycle the used hay bales as fresh compost for your other gardens or plant beds! Do you think you’ll try hay bale gardening? Why or why not? Leave a comment below! We've tried hay bale gardening on the homestead, and we've found that not only has it given us great yields, it's made harvesting our veggies much easier. Here's how you can too! Since hay bales grow mushroom fungus when they rot is there any harm in the vegetables growing in that? Also can you start with small plants rather than seeds? The spores should be killed by the nitrogen conditioning. Yes, you can start with small plants, we’ve done that successfully. Very well written information. It will be useful to anybody who usess it, as well as yours truly :). Keep up the good work – can’r wait to read more posts. Do you cut out the centers of the hay bales and add potting soil? We just plant directly in the hay. There’s enough warmth in there. If I use square foot gardening what are the dimensions of a bale of hay? And can I put them right next to each other? Yes, you can put them next to each other. A single bale is probably equivalent to 2 units in your square foot garden. Do you loosen the hay or divide the bale and spread out the hay after you condition it? I leave the bales intact. Hi, thankyou for the info. I have a 2500 Sq. Ft garden and will be experimenting the hay bale garden,and other unique growing this year. Will let you know how it makes out. Great, thanks! Would love to hear! Curious to try Hay Bale gardening. You make it seem so easy. I love trying new thing in my garden.